Today marks the first day of Tinnitus Awareness Week. Tinnitus is a condition where a person hears a buzzing or ringing sound that no one else can. It lasts forever, it is non-stop, and can be as loud as a jet and does not always occur at the hands of exposure to loud music. It affects more than 250 million people worldwide. The Ish & Chips team is no stranger to this, as 4 of our staff members have this, including both owners. There is no cure for this. 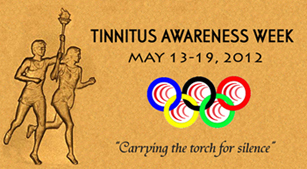 But, lets do our part and raise awareness and help organizations like the American Tinnitus Association and find a cure to help those affected by it to know what silence sounds like.